If there is such a thing as a mailbox lottery, I won it on Saturday. My skincare haul from W2Beauty arrived on Saturday, as did my beautiful new jewelry from BellaLili, and my May Ipsy Glam Bag. As if that weren’t enough, my Ipsy bag contained an extra surprise that I wasn’t expecting, which I’ll tell you more about in a minute. Right now I want to tell you what was in this month’s bag. The bag is super cute this month, and will be going into my purse post-haste. I love the color scheme, I love the pattern, and the size is perfect. I have nothing but good things to say about the bag. 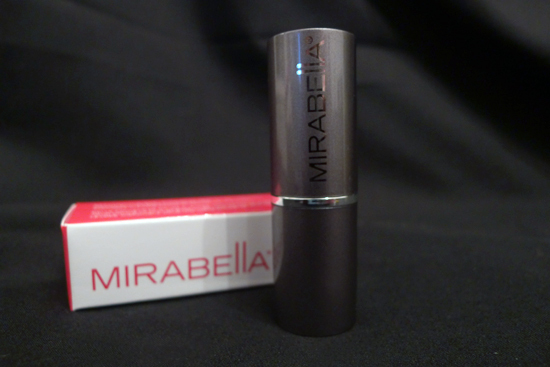 The Mirabella Colour Sheer lipstick is a very nice, every day, sheer lip color. 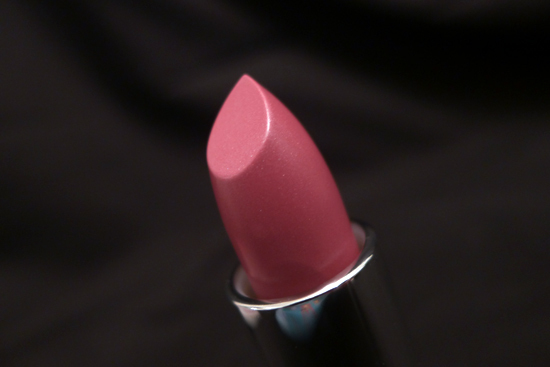 The color, “Daydream,” is nice, neutral pink. IT’s important to mention that color really is sheer. I know there are some products, such as Revlon ColorBurst Lip Butter, that describe themselves as sheer but are actually very pigmented. Not that I’m complaining about the pigment in the Lip Butters, I actually really love them. I just think it’s an important distinction to make. 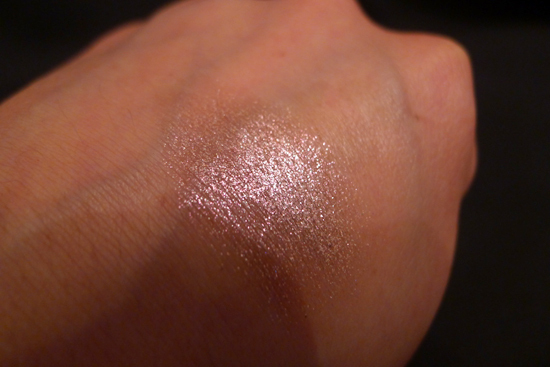 Anyway, I found the Colour Sheer to be fairly moisturizing. 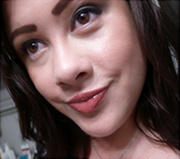 It’s not long lasting, but that’s not a quality I generally expect from a sheer color and I don’t mind reapplying it. The Yaby Concealer was a little disappointing. You might remember my unfavorable thoughts on the horribly unpigmented and chalky Yaby eyeshadows I received in a past Ipsy bag. 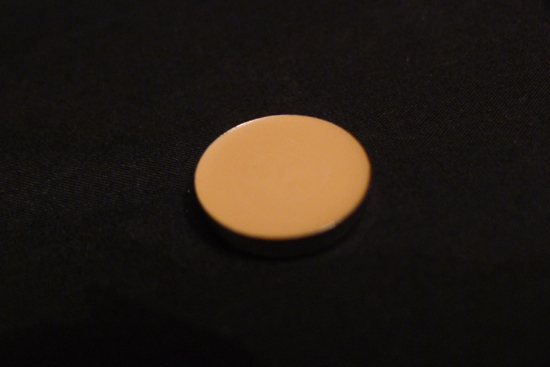 This concealer was actually much better than the eyeshadows, but the color was all wrong. It was too dark, and it was too yellow, even for my warm skin tone. 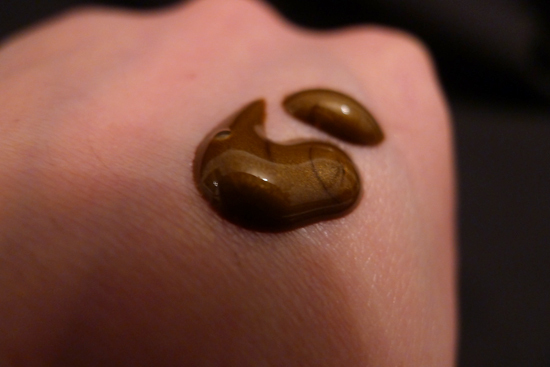 The consistency was nice enough, so I actually tried to use it as an eyeshadow primer instead. 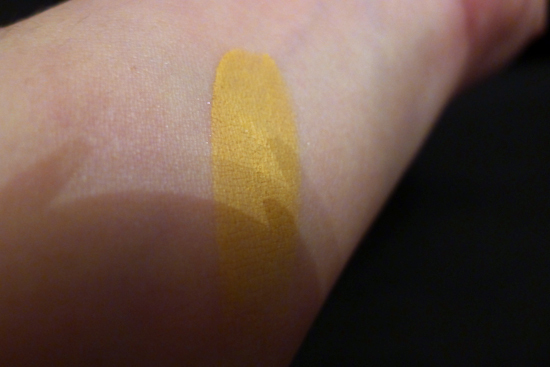 As an eye primer, it did help me pack on more color, but it didn’t seem to extend the wear of my shadow any more than usual. I’ll probably never touch it again, except for the moment that will occur at least three months from now, when I’ll be trying to clean up my makeup collection, and I’ll come across that concealer and get mad about it and throw it in the trash can. Sure, I could save myself the trouble and just throw it away now. But I’d rather do it the hard way. 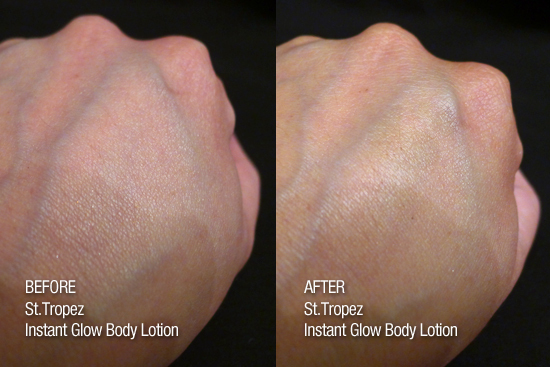 The St.Tropez Instant Glow Body Lotion is one of those things I don’t really know how to rate. I’m not really into these wash-off tanning products in general, and actually, I kind of don’t understand them. For one thing, they always have warning on them saying that the color could rub off on your clothes if you get wet or sweat. They also warn against wearing white. But here’s the thing: people sweat. I sweat. Especially in the summer time. So why would I wear this? I don’t want instant tan stains on my clothes. Does anybody want that? I suppose if I got Botox all over my body so I didn’t sweat, I’d probably die, but before that, I might be interested in wearing a product like this. This is the second one I‘ve tried, the first one being the Tea Tan Glow by Beautisol. 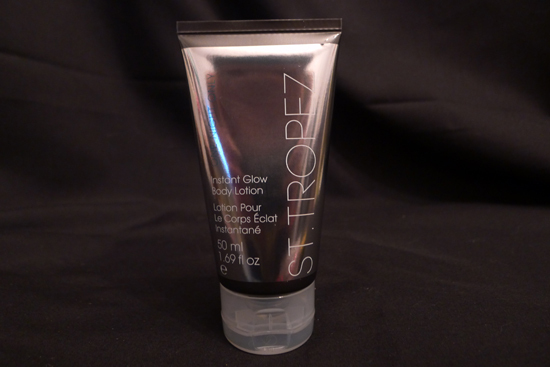 I like the St.Tropez product more. 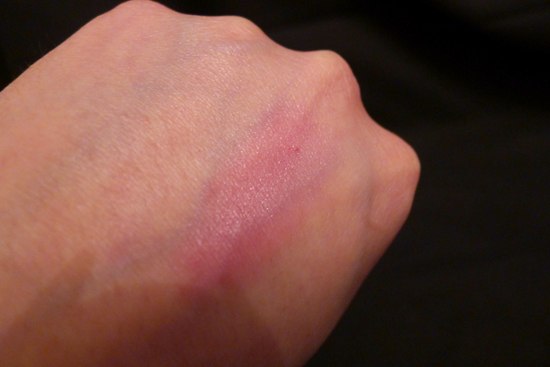 It was easier to apply, and I thought the glow looked healthier and more subtle. It also felt moisturizing, which was a bonus. As far as instant tanning products go, this one is pretty good from what I can tell, but this product will share the same fate as the Yaby Concealer. 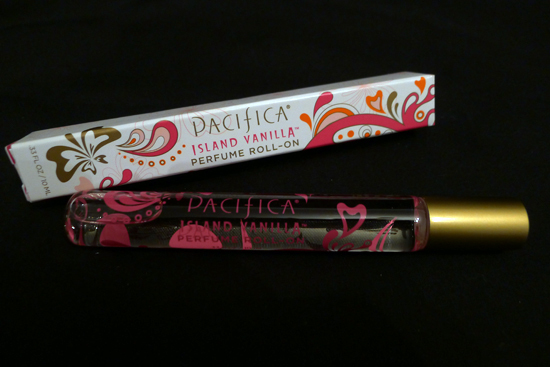 The Pacifica Island Vanilla Perfume Roller Ball was a nice treat! I’m generally not huge on vanilla fragrances, but this one is really nicely done. It doesn’t have the cheap, home spray quality that I find a lot of vanilla perfumes have. Island Vanilla is supposed to have jasmine, tea, and white honey notes in addition to the vanilla. The jasmine and tea notes don’t lend any discernable floral qualities to this fragrance. If anything, they are just present enough to keep this vanilla from smelling flat. The perfume lasts quite a while, as most vanillas do. This fragrance is never going to be on my Christmas list or anything, but I like it. And I think a vanilla perfume is a nice, safe option to have on hand for the office or hanging out with people who hate perfume. I was especially happy to see a nail polish by Zoya in this month’s bag, which happens to be my favorite nail polish brand. As far as I’m concerned, Zoya polishes have the best formulas and coverage in the business, no question. 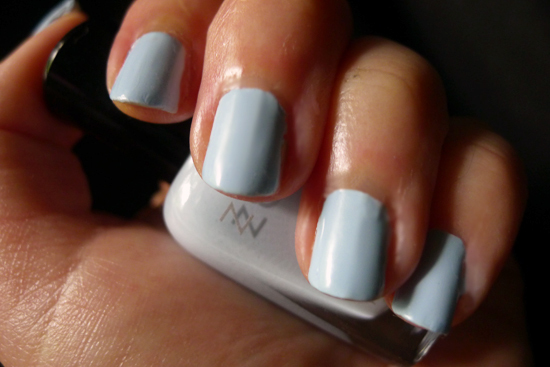 This particular color is a soft, pale, baby blue. Two coats gave me smooth, opaque coverage. 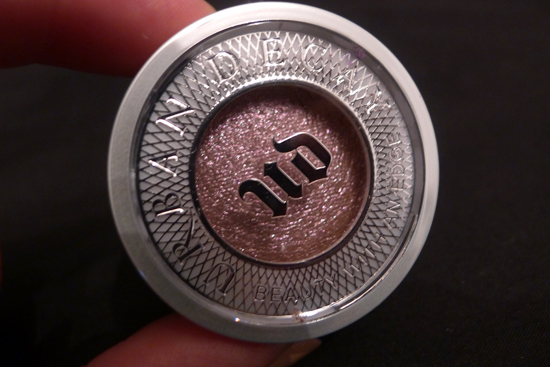 Lastly, there was the surprise bonus – a full size Urban Decay Moondust eyeshadow! Earlier in the month, Ipsy sent out emails letting subscribers know that we could receive it in our bag if we referred two friends using a special link, but I didn’t refer anyone. I asked my Instagram peeps if they got one too, and Kalyn (who also has a pretty awesome beauty blog) said she’s heard that Ipsy also sent those shadows out to people who were long-time subscribers. I’m coming up on my 1 year Glam Baggiversary, so I’m guessing there’s some truth to that rumor. At any rate, I was very excited to see it my bag! 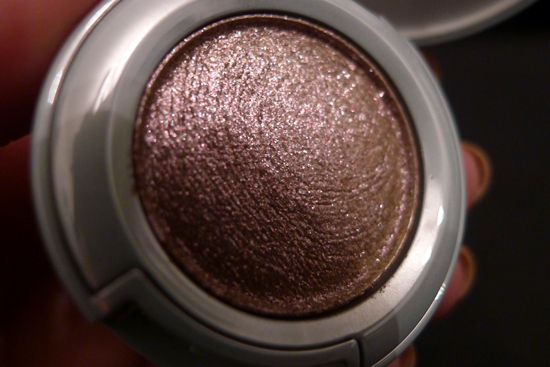 The shadow color is called “Glitter Rock,” and it’s a metallic purple with iridescent glitter in it. I don’t really wear a lot of glitter shadows, but there have been occasions where I’ve wanted to break one out. I actually experienced a pretty good amount of glitter fallout from applying this and had a hard time getting it all off my face. As a result, I keep catching glimpses of my face sparkling in the mirror. Still, if I was wearing this for a night out, which is probably the only time I’d wear a glitter shadow anyway, I doubt I’ll care that my face is a bit sparkly. It might even be an advantage. I’m pretty pumped about this month’s bag! I hope Ipsy keeps it up! Here I am wearing products from the May Ipsy bag. 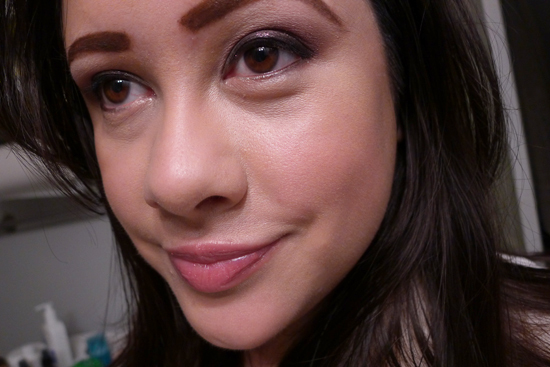 I supplemented my Urban Decay Glitter Rock with the Light Pink, Mauve, and Amethyst colors in my Lorac Pro Palette. If you’d like to subscribe to Ipsy, you can sign up on their website. It’s $10 a month, which is peanuts compared to the amount of joy you get out of seeing that shiny, hot pink envelope in your mailbox every month! Performance: 3/5 – There were a couple of stinkers in the bag, like the concealer and tanning lotion, but the eyeshadow, perfumer, and colour sheer were all winners. Quality: 4/5 – All of the items were pretty good quality, including the items I didn’t like. Value: 5/5 – There was $72 worth of stuff in this bag and it was $10. That concealer looks hideous! If it isn’t long lasting, I don’t even know how you could salvage the sample…it doesn’t look suitable for anything based on your skin tone. I can appreciate what Ipsy was trying to do, but offering up concealer was a risky move. That eyeshadow, on the other hand, looks lovely! I’m so excited for this month’s bag (and to see what is in store next month)! “Limited Bonus Item for active community members (content creators on and off ipsy, and frequent contributors to our Facebook page and other ipsy communities)”. It also seems to indicate that I’m either getting the St. Tropez stuff or the Pacifica bronzer…so I hope that Pacifica is en route! That’s exciting! I’m so happy you’re getting the bonus. 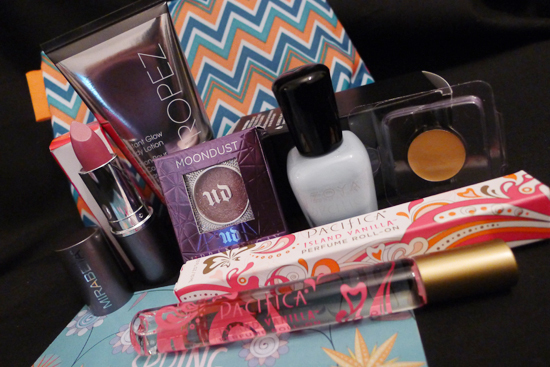 I wonder if my blog counts as off-Ipsy content? I don’t know how Ipsy would know about it, though. Mystery! that concealer is too yellow? Thank you so much! And yes, that concealer is way too yellow. And at least 2 shades too dark! That concealer is awful. Holy yellow!!! I hope yours is too. I’d be interested to see if you get a different color concealer too. I really want to know how it performs when it’s actually the correct shade for me! If you want a natural tan look, without the sun damage, I actually really like the Jergens Natural Glow body lotion and face tint. It takes about two weeks before you get full results, but it doesn’t rub or sweat off, and since you build the color over time it’s not as streaky or blotchy as spray- or rub-ons.